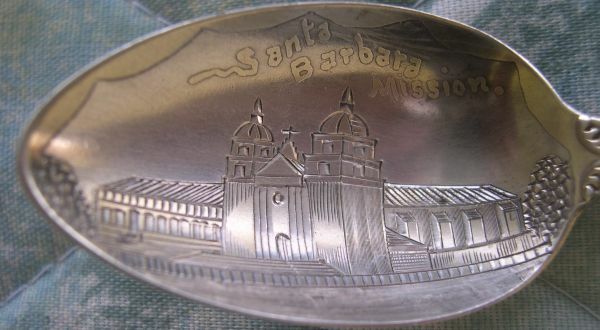 Father Junipero Serra, a member of the Portola exploration team and a Franciscan friar, established the first California mission in the area now known as San Diego in 1769. 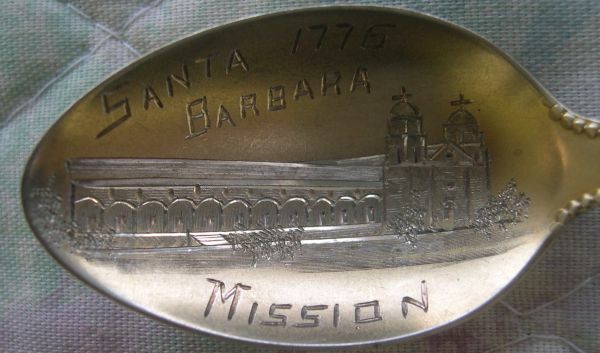 The goal was to establish missions one day's walking distance apart. 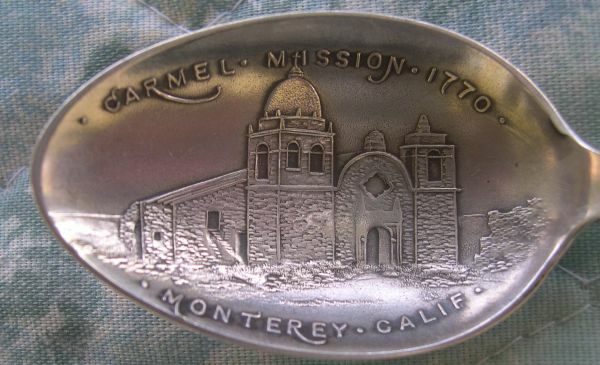 By the year 1823, the Franciscans had built 21 missions. 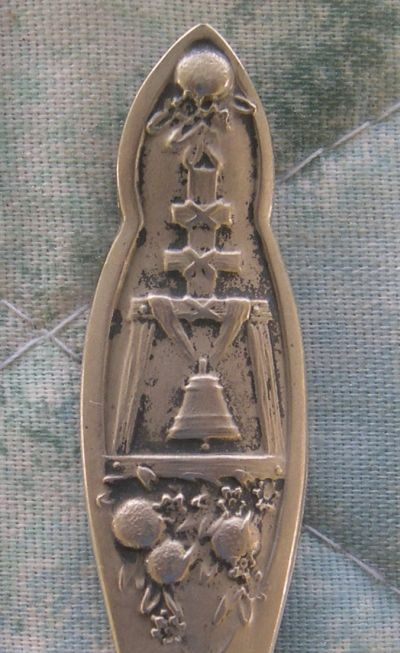 The purpose of the missions was to convert the "heathen" indians to Christianity and to establish economic outposts in the new land. 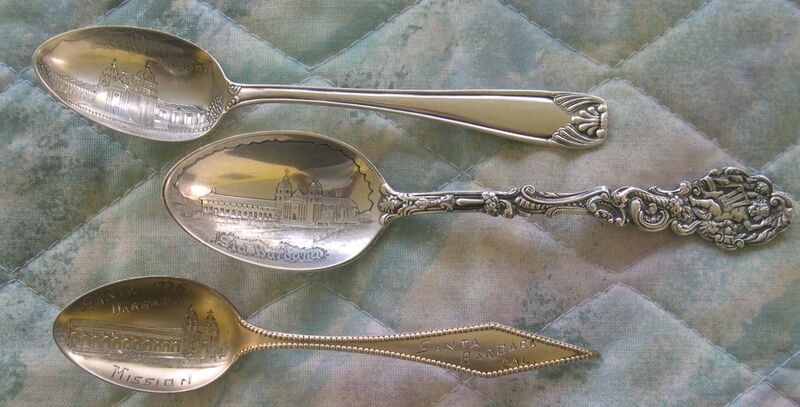 By the late 1890's (when these spoons were made) most of the missions had been abandoned or fallen on "hard times". 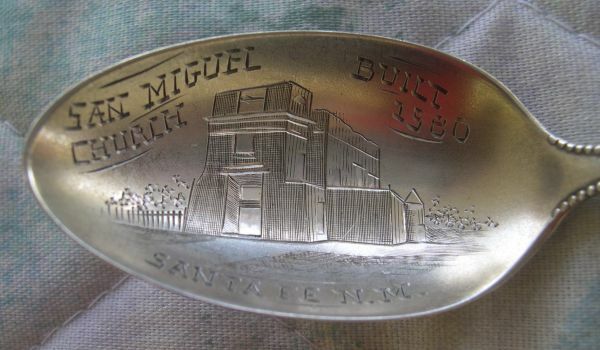 The preservationists began to restore some of the missions still in daily use and visitors would often visit the more popular and easily accessible missions. 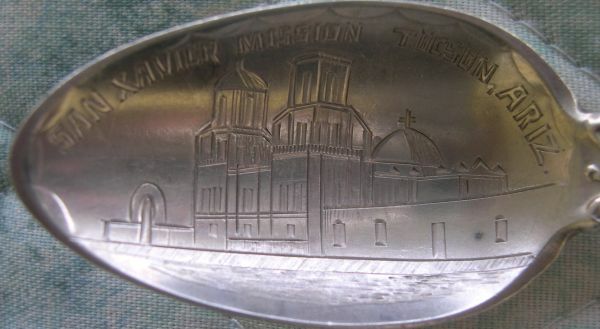 Note: some of the restored missions are still used today as churches. 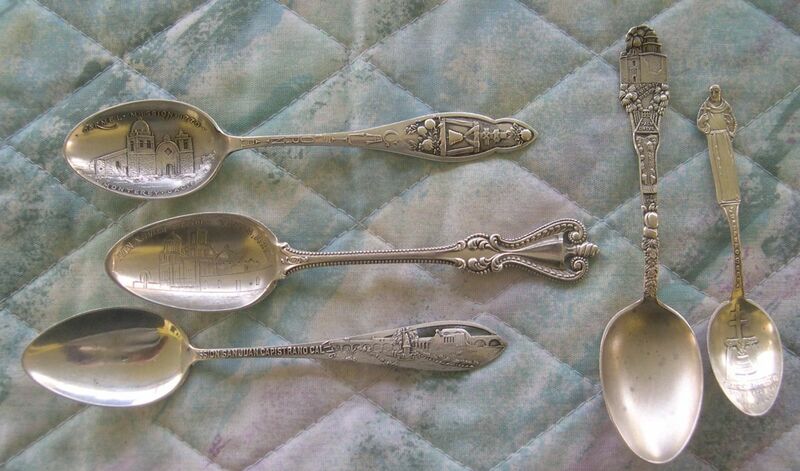 A few of the many sterling spoons that are available.